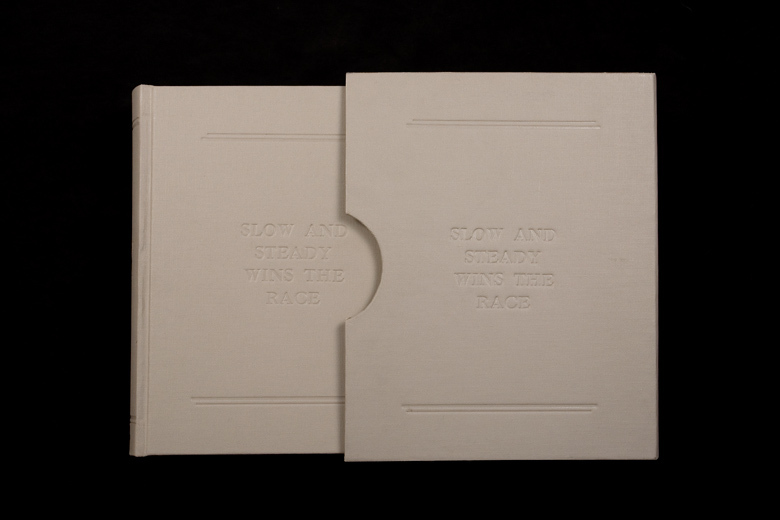 In 2009, Slow and Steady Wins the Race collaborated with Project Projects to create a Portfolio in the shape of a dictionary. 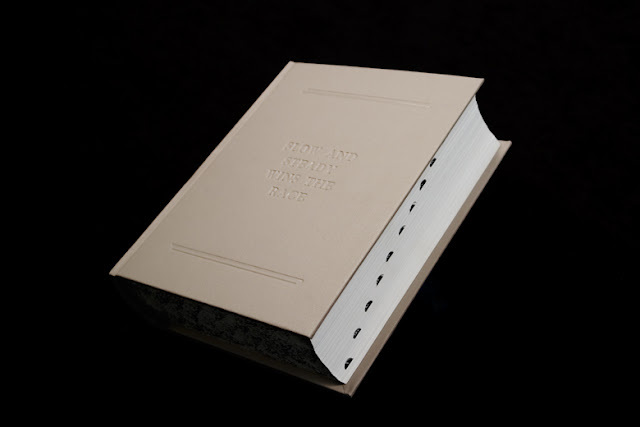 The Dictionary serves not only as an archive of the compendium of pieces that make up Slow and Steady Wins the Race, but also as an object itself--celebrating its comprehensive catalogue. Edition of 3.